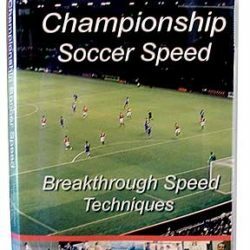 View cart “Championship Soccer Speed” has been added to your cart. If you don't run your fastest 40 ever after following our speed development program for 30 days, we'll give you a full refund. 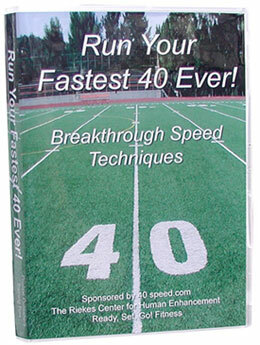 If you don’t run your fastest 40 ever after following our speed development program for 30 days, we’ll give you a full refund. Lim asked me to e-mail Phil to let him know that he has gotten his 40-speed time down to a 4.56 already. His coaches are excited. We sincerely thank you for helping us this summer by working him in. After attending two days of speed technique and fast-fiber strength training with Phil Campbell during the summer before his senior year, Jordan Howanitz was moved from backup receiver to running back for Catholic High School in Knoxville, TN. Jordan had eight 100-yard rushing games, scored 19 touchdowns, and was named Offensive Player of Year. A sports reporter describing Jordan performance wrote: His smooth transition from backup to starter kept inexperienced Catholic squad steady when its season could have teetered into inconsistency. Catholic High School in Knoxville went 15 – 0 in the competitive 3A division and won the state championship. Coach Phil, We went on to win the state championship 34-6 and I also won ALL-STATE HONORS at TACKLE. I am now 6’3, 275 lbs; bench 325, p/c-300, squat 450 lbs. I graded out in every game above 80% for an average of 85%. The radio announcer named our O-Line-the Mayflower Moving company and named me the Dock Foreman. They say we could move anything. Our offense rushed for almost 4000 yards. I did not give up a sack all year-(thanks to quicker feet!). I was one of 2 seniors on the O-line, with 3 sophomores and 1 junior. I feel like a lot of what you taught me carried over to my leadership skills as well as my performance. THANKS FOR ALL THE LOVE AND HELP YOU AND PHIL GAVE US. I have had the pleasure of seeing first hand the techniques being taught at Speed Camp. The emphasis is on speed development and its application for sports, even my daughter Claudia, age 11, has taken part. 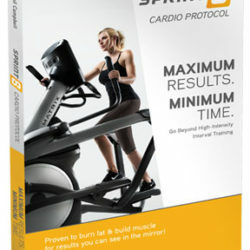 With the techniques being taught, you can begin to incorporate sprint training into your program and I guarantee that you will see results. After just a couple of sessions of applying stretching and learning correct running technique, I was able to break through a training plateau.” – Ernie Rodriguez, Nashville. Ernie Rodriguez is the strength coach and personal trainer for nationally ranked boxers including heavyweight, Owen Beck. “You wouldn’t think that a 6’6″ 270 lb Offensive Lineman would have to worry about speed. However, football is all about speed; at every position. Through Phil Campbell’s guidance, I was able to improve my forty time to 4.9 seconds and this made me the fastest Offensive Tackle at many college camps.